While processing the HR the ends are usually discarded. Similarly to establish the quality in CR, the ends are discarded. The terminology is known as Head End or tail end, which is a part of our trading activity. RKG International Private LimitedEstablished in 1957, RKG is a leading importer, exporter and International Trading House of melting scraps, primary, secondary, defectives of all products of steel and reusable scraps, ferro alloys, Manganese Metal, Silicon Metal, etc. with focus on quality and professionalism. We are consistently catering to the requirements of our customers across diverse industries. We are also committed to ensure that all relevant safety and environmental standards are followed throughout our range of operations. RKG International Private LimitedLeveraging on our extensive network & established industrial relationship, we source various types of products from manufacturers across the globe. 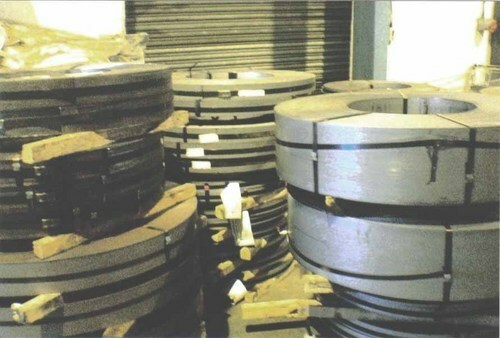 Based on the types of scrap that our client requires, we procure them from relevant sources. We source material, depending on the customer’s requirements with regard to the quality, quantity, shape, alloy, etc. Wide range of products that we serve to our customers, are mentioned below and are duly explained under the respective heads. We are led by a strong team of professionals with an in-depth expertise across various levels of the industry. The decades of experience & knowledge of our team has enabled us in becoming one of the most reputed and trusted name in the field of steel trading. We have developed our capabilities in terms of technology and manpower. We maintain a team of seasoned professionals that empowers us to cater client’s specific requirement. Our team comprising of engineers and industry experts, handles assignments of any complexity & size. These trained personnel work in accordance with recognized industry standards, at the domestic & international level. The group over a period of time into this range of products and global presence has become “ONE STOP SHOP” to fulfill the steel requirements of industry and trade under one roof, not only in India but across the globe. Z-262, Naraina W. H. S.